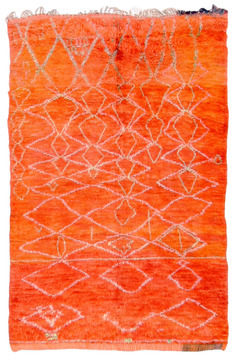 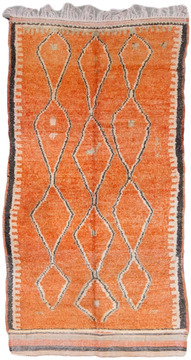 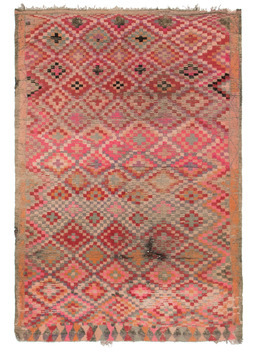 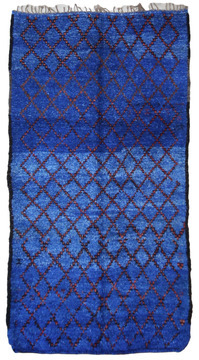 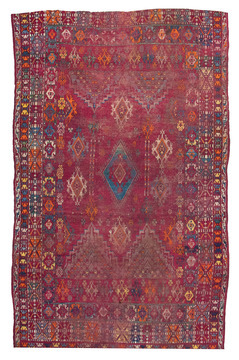 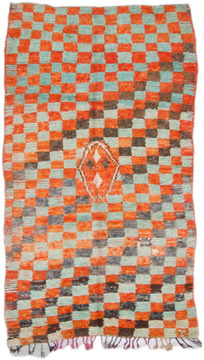 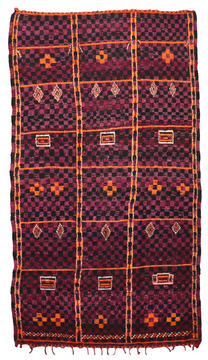 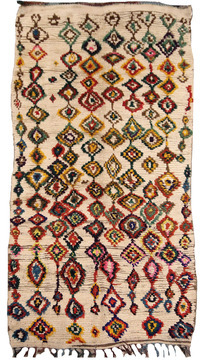 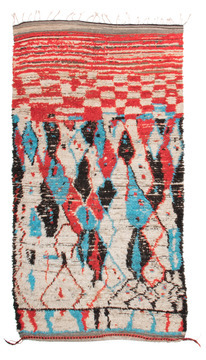 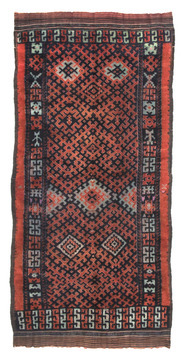 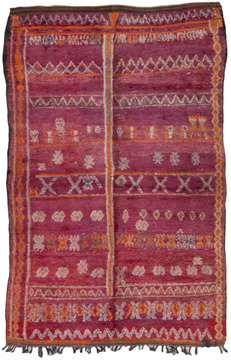 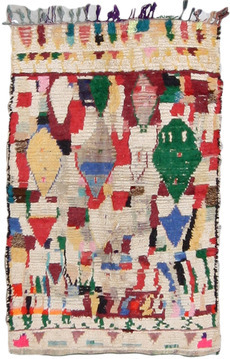 A colorful, engaging Moroccan Rug. 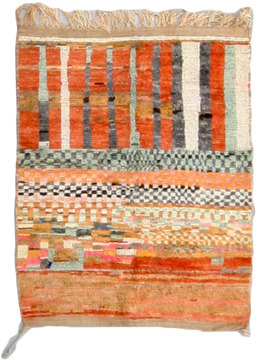 Brown, pale amber, orange and light mocha predominate. 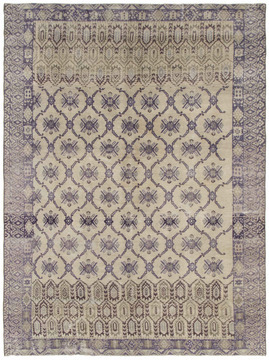 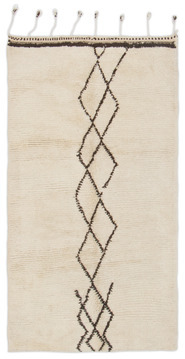 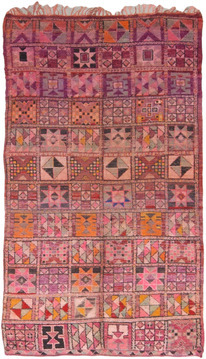 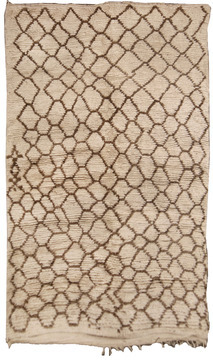 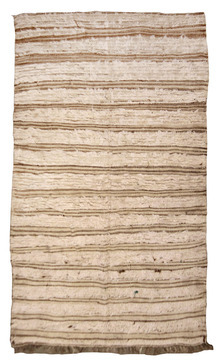 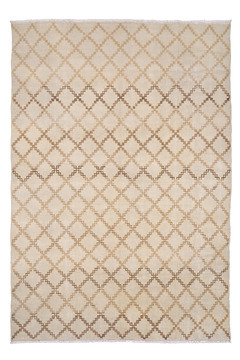 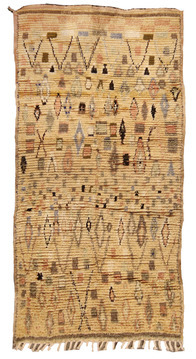 The rug displays three columns of layered diamonds and pyramids and a large, detailed pictorial. 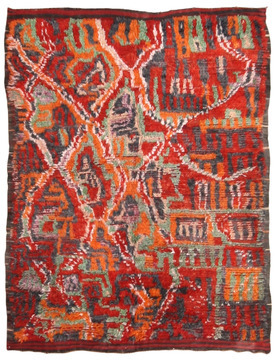 A palette of rich autumn colors would do nicely.